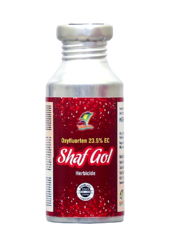 Providing you the best range of glyphosate 41% sl, pendimethalin insectide, ammonium salt of glyphosate 71% s.g., paraquat dichloride 24% sl and oxyfluorfen 23.5% ec with effective & timely delivery. 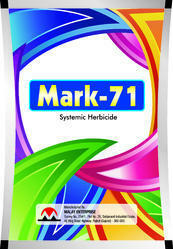 We are the manufacturer of the Herbicide. Application : It is used to control systemic Herbicide with no soil residual activity for cereal crop, citrus, CRP, Corn cotton, fallow systems, grain sorghum, grass seed production, herb, pastures, peanuts, small berries, soyabean, sugarcane, tre vine crops, tree fruit, tree nuts, tropical crops, vegetables crops, vine crop. 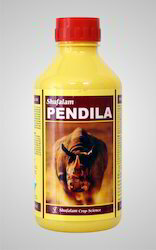 We are the manufacturer of the Pendimethalin Insectide. Application : Use for premergence control of most annual grasses annual, certain broad leaf in seeded and transplanted rice grown area in Africa, Asia, Europe, South America. It shows selectivity in wheat, cotton, soyabean peanuts, sugarbeet, wheat and Brassica crops etc. Ammonium Salt Of Glyphosate 71% S.G. 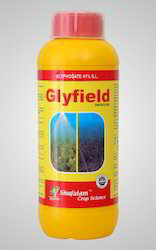 Formula Ammonium Salt of Glyphosate 71% S.G. Composition Ammonium Salt of Glyphosate 71% S.G. Application : It is used to control systemic Herbicide with no soil residual activity for cereal crop, citrus, CRP, Corn cotton, fallow systems, grain sorghum, grass seed production, herb, pastures, peanuts, small & berries, soyabean, sugarcane, tre & vine crops, tree fruit, tree nuts, tropical crops, vegetables crops, vine crop. Application : For control of weeds eg. Imperata, Borreria, Digitaria, Trianthema, Paspalum, Chenopodium, Echinochloa, Cyperus, Euphorbia etc. in Tea, Coffee, Rubber, Potato, Sugarcane, Apple, Grapes etc. and of aquatic weeds eg. Dosage : 5-10 ml / 15 Ltr. water Application : Oxyfluorfen 23.5% EC w/w (22.8% EC w/v) is a selective herbicide for control of major grasses, broadleaf and sedges in direct seeded Rice, Tea, Potato, Onion, Groundnut and mentha crops.